Why do we do that? 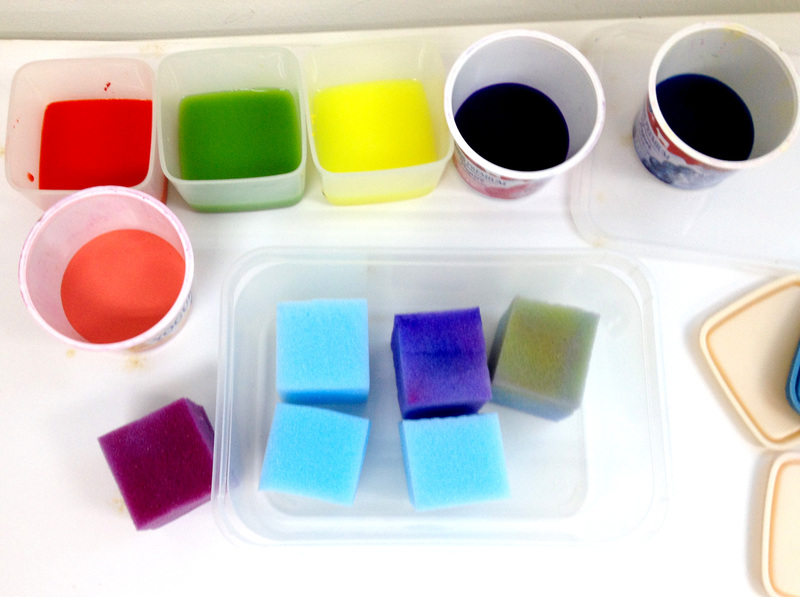 To make ourselves clean. What is one important thing we need to clean ourselves up? Water! Water is very important. It cleans us up inside (drinking) and outside (washing/bathing). 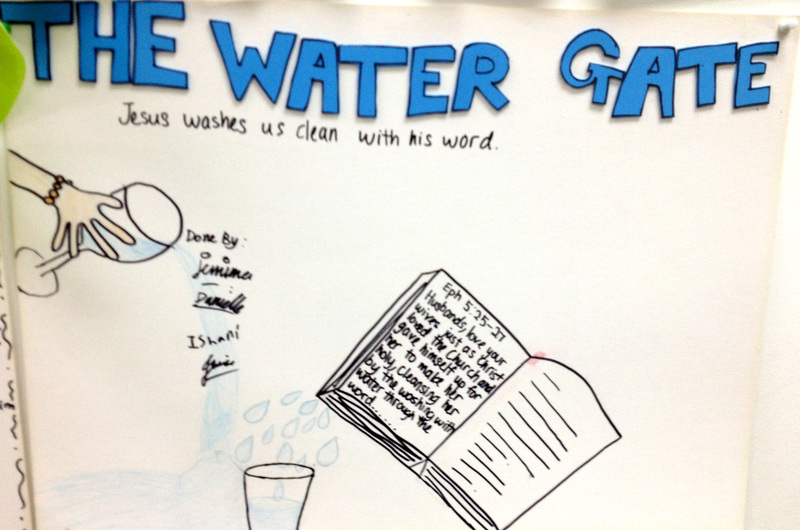 Today we’re going to look at the Water Gate and what it reminds us about Jesus. Like the Fountain Gate, the Water Gate was close to the source of the city’s water supply (Gibeon spring). It opened up to where Solomon’s Temple was. Neh 8:1 Now all the people gathered together as one man in the open square that was in front of the Water Gate; and they told Ezra the scribe to bring the Book of the Law of Moses, which the Lord had commanded Israel. What does the Water Gate remind us of? Jesus washes us clean with His word. Just as we use water to clean ourselves up physically, Jesus cleans us with His word. Imagine: Boys, one day you will grow up and get married. 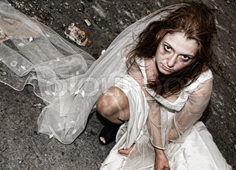 What happens if your bride turns up in the church looking very dirty and messy, as if she came out of a pig sty? That would be quite horrible, right? Girls, would you like to look like this on your wedding day? Well when Jesus came to look for us, He found us looking very dirty and grubby and smelly. Still He loved us soooo much that He gave His own life for us and rescued us from the dump that we were in. But Jesus didn’t rescue us and leave us in the same dirty, grubby and smelly condition. No. He took us, washed us, cleaned us up, dressed us in the finest garments, presenting us as a beautiful, perfect bride. Eph 5:25-27 Husbands, love your wives, just as Christ loved the church and gave himself up for her to make her holy, cleansing her by the washing with water through the word, and to present her to himself as a radiant church, without stain or wrinkle or any other blemish, but holy and blameless. The more we listen to the word about Christ and His finished work on the cross, we are being washed clean — our faith grows (Romans 10:17), our minds are renewed and our lives are transformed (Romans 12:2). 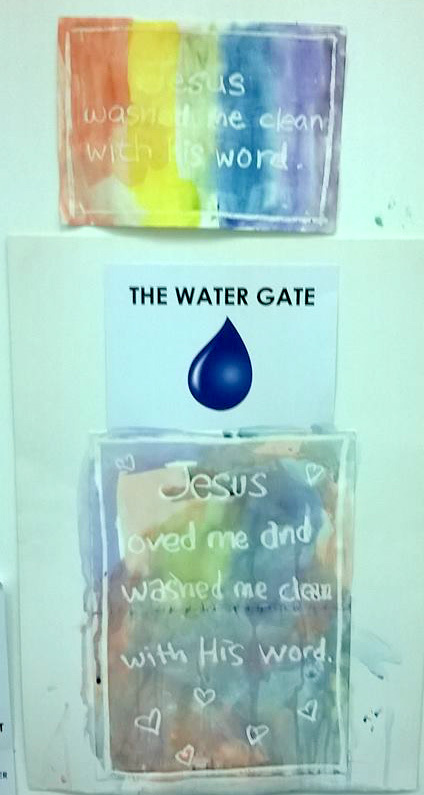 Water gate reminds us that Jesus washed us clean — we are changed from dirty, smelly and grubby to become beautiful and perfect!